Today I want to share a few more beautiful landscape photos from Cliff Laplant. The photo above is a self-portait Cliff took on Volcanic Ridge in the Inyo National Forest in California. He set his Nikon D800 low on my tripod and captured this scene over Cecile Lake just as the Sun went over the Minarets. 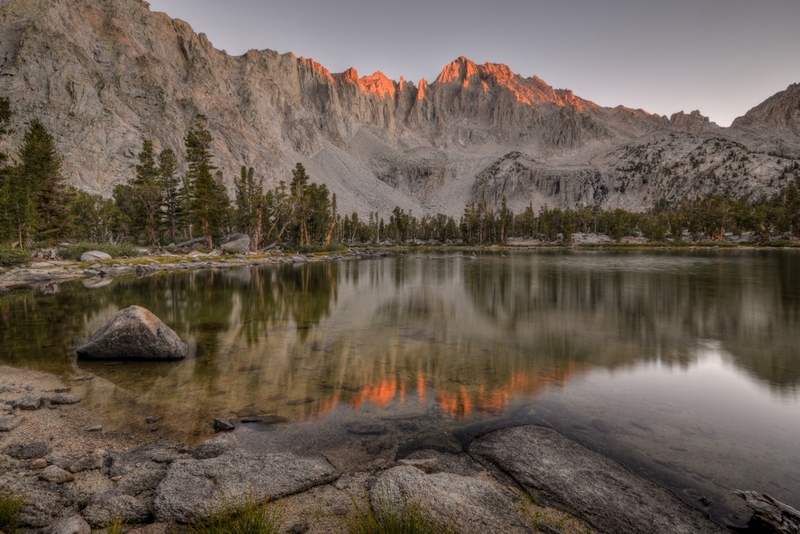 The photo below is of sunset over University Peak and Matlock Lake Sunset in Kings Canyon National Park in the Sierra Nevada Mountains of California. This was shot with Cliff's Nikon D800 with a 16-35mm lens. Cliff used a tripod for the shot and the photo was post processed in Paintshop.